Superior Supplements for Superior Performance! In our latest Fireside Chat we address the topic of calming supplements — when and how they can be used, which ingredients offer the most consistent results and also some warnings about ingredients that can test at shows. This entry was posted in Grand Meadows Blog. Bookmark the permalink. Live support is available Monday-Friday 9:00 am - 4:00 pm PST. 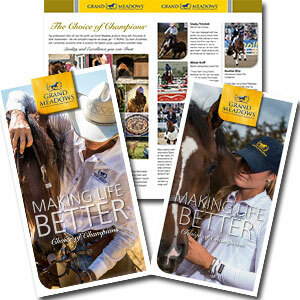 Would you like our latest catalog delivered straight to you? 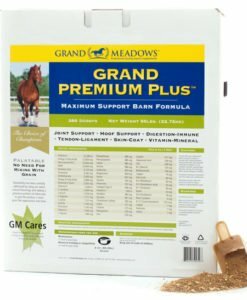 It is important to know, beyond the formula and pricing, about the integrity of Grand Meadows. We are the founding member of the National Animal Supplement Council (www.nasc.cc). As the only Equine supplement manufacturer involved when the NASC was formed, we have been responsible for many of the fundamental changes that have been introduced and that have transformed the industry in recent years. Our President, Nick Hartog, has served on the Board of Directors of the NASC since its inception. 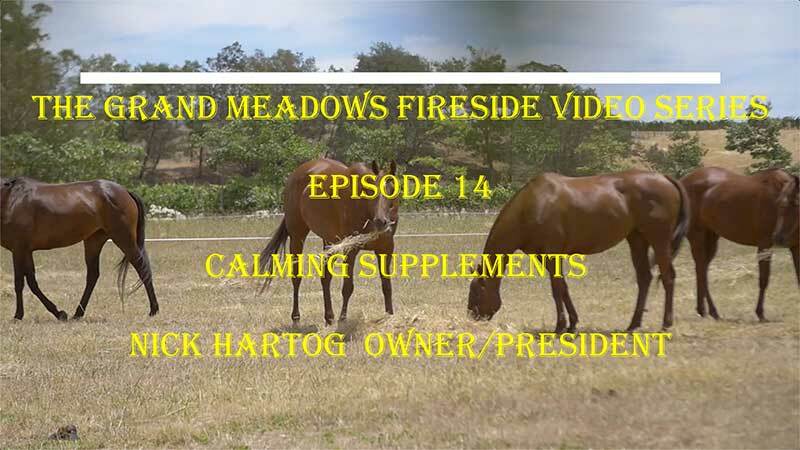 Horse Joint Supplements – What? How? Why?